So Elly received her new Dell Inspirion 15 last Friday. She got it in preparation for going to American University. I spent my day off Friday making sure that she could dual boot into Windows7 and Ubuntu. The only problem I have so far is that the wireless doesn't work in Ubuntu. It seems like Broadcom hasn't released a driver for Linux. Or at least, none of the packaged (B43 or Linux SAT) worked. So until that driver comes out, it'll be one big MP3 player. I did show her OneNote (2010) which is to me the killer application on Windows. I have tried various "similar" open source offerings and to be blunt not a single one holds a candle to OneNote. And for those of you who know me, I am not a Microsoft fan. But I'll give them this one, hands down the most useful application I use. My daughter thought it was very cool and is planning to use it for her classes. I did get here Office 2010 since we anticipate that most material will be in MS format. Particularly anything in Powerpoint is really only rendered well in PowerPoint. OpenOffice and Google Docs are just fine for word processing or spreadsheets. Well, since I paid for half of her new PC she offered me her Dell Mini 10 in compensation. She purchased it about a year ago with Ubuntu on it. 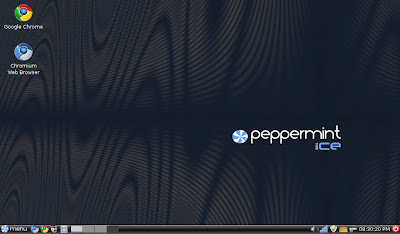 I played around with it a little bit and then installed Peppermint One on it without deleting Ubuntu. I was impressed enough with Peppermint One, I immediately downloaded Peppermint ICE after it's release yesterday. And I installed it, replacing the Ubuntu that came with the netbook. After doing some basic testing to make sure it worked in general, updating the wireless driver (B43) , I downloaded some of my favorite apps including Google Chrome though Peppermint uses Chromium and they are essentially the same thing. I put shortcuts to both Chrome and Chromium on the desktop and edited the panel bar application launcher to include Google Chrome. One of the first things I always set up is a Japanese language input method. Over the last 6 months I have pretty much settled on the IBUS-Anthy combination. But I really like the way it works in Peppermint. You go to the Preferences menu and select "Language Support", and add Japanese. It automatically download and installs everything needed to support Japanese including the IME. This is such a huge improvement over what I've had to do since switching to Linux back in '99. This is the way it should. The only thing lacking is an easy way to automatically start the Ibus daemon upon login. Of course, it's simple enough to add a small script in Autostart, but really I shouldn't have to do that much work. But it's so much better than I have ever experienced I feel like that's a nitpick. What I really like about Peppermint ICE is the ICE framework. This is what Team Peppermint has to say about the ice framework. 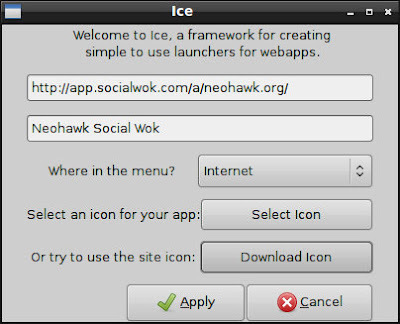 Ice is, by definition, a Site Specific Browser [SSB] that Peppermint creator Kendall Weaver wrote himself as a means to launch Web Applications and/or Cloud Applications [SaaS - Software As A Service] from the new Peppermint Ice OS. When you launch a web based application using Ice it will call up a custom SSB using the default Chromium Browser. So, essentially, the Ice SSB acts as software that is installed locally but is actually delivered via the Web. The difference in using an SSB as opposed to using a tabbed browser is that only one function is assigned to the Ice SSB. In a tabbed browsing system, with several open for example, if one service or site in any given tab crashes you run the risk of losing data by crashing the other tabs and potentially the browser itself. since an SSB is isolated and dedicated to only operating the web application of your choice, if it crashes or hangs, it does not effect the rest of the system. And, because the Ice SSB’s are so sleek, they are perfect for running apps that display better using the most screen area as possible. So what does that mean? 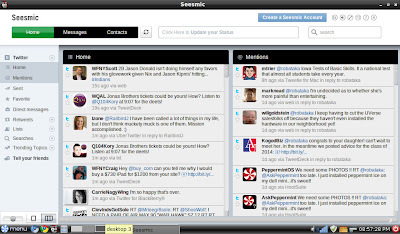 It means basically that you can pull up Seemic Web (twitter) in a Seesmic only browser with no tabs, navigation bars, etc. See the screenshot below. So that is how they basically create a Google Documents "application", a Google Calendar "application" as indicated on the screenshot below. I haven't decided what I like better, just using a browser with 17 tabs open or different ice applications open. Certainly, I'm interested enough in Peppermint Ice's method that I installed it right off the bat. And the great thing is that if I decide I prefer the browser-with-a-bazillion-tabs-open method I can do that to. That's pretty much a win-win situation for me. So clicking the google applications in the menu takes me to Google Accounts version of the application(Gmail, etc). 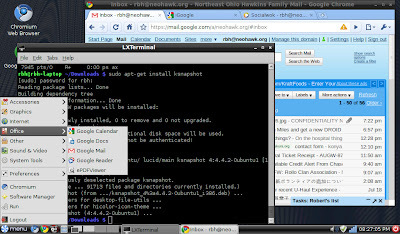 Whereas I use Google Apps with my neohawk.org domain. So I was about to pop off an email or tweet asking how to "customize" these when I noticed a little ICE label and icon in the Preferences menu. Clicking on that negated the reason for tweeting or popping of an email - you can build as many as you want and you can point them at Google Apps applications as well. See below. 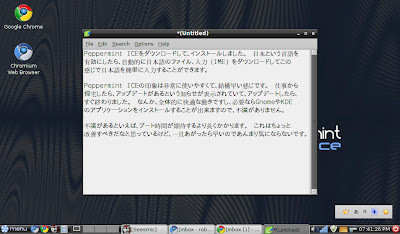 I am so pleased with Peppermint ICE I'm tempted to install it on my old laptop and my wife's desktop. It's fast and snappy, works well, and is easy to "maintain". It looks great too. In particular, I think it'll work great on my wife's desktop which is really old with not a whole lot of memory. But we'll see. 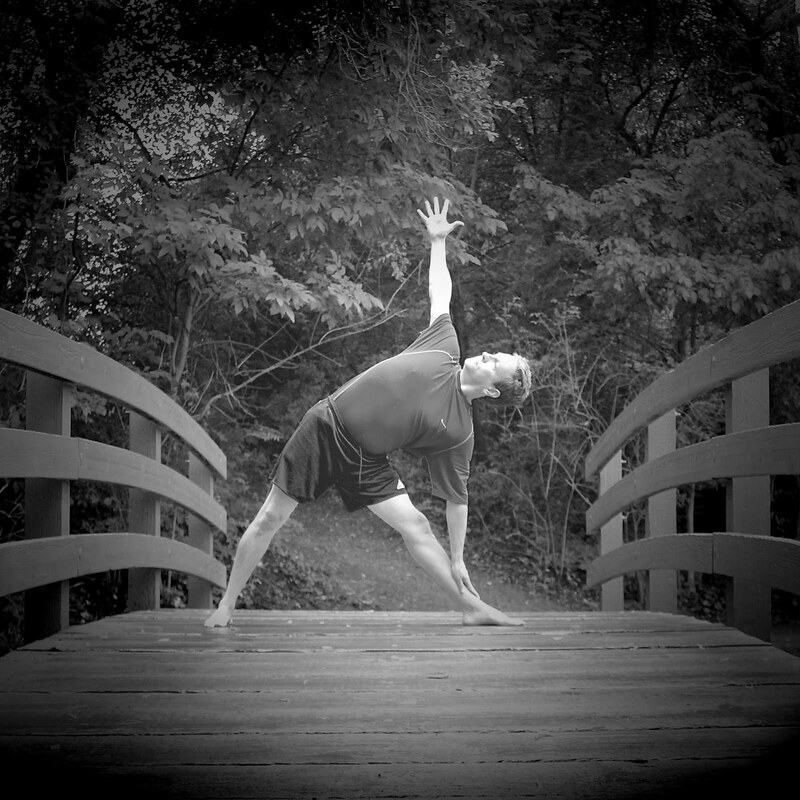 See slideshow of above pics here.